Ontario is a vast province, to say the least. To travel between Quebec in the east and Manitoba in the west takes about 24 hours of solid driving. It’s the province that goes on forever. There are countless Ontario road trips you could consider. Before you become overwhelmed, I have a route to suggest that’s manageable and lives large in my memory: a road trip around Lake Ontario. One of the great things about a road trip around Lake Ontario is that you start and end in the same location. 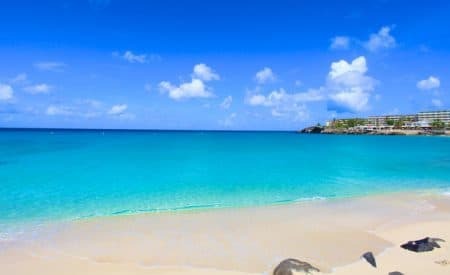 This means that, should you choose to rent a car, there will be no backtracking nor will there be an extra charge for dropping the car at a different location. On this trip we’re going to assume that you’re starting in Toronto, though you could start at any point on the itinerary. The CN Tower (on the right of the photo) is just one of many things to do in Toronto. There are many possible things to do in each location. Here are a few recommendations from my own Ontario road trip. Toronto – You will definitely need three days in Toronto. 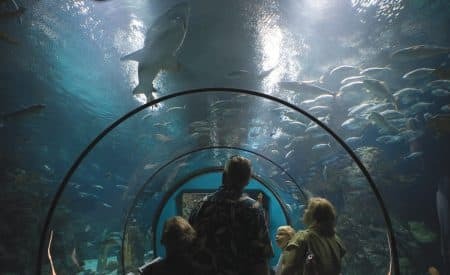 There’s the CN Tower, the Art Gallery of Ontario, the Ontario Science Centre, the Toronto Islands, shopping streets like Queen West… There are plenty of things to do in Toronto. But please, check out the theatre scene-it’s fantastic. Read Best Theatre In Toronto… and Nearby to help you decide what to see. Also read Affordable Toronto: 32 Free and Low-Cost Tips. 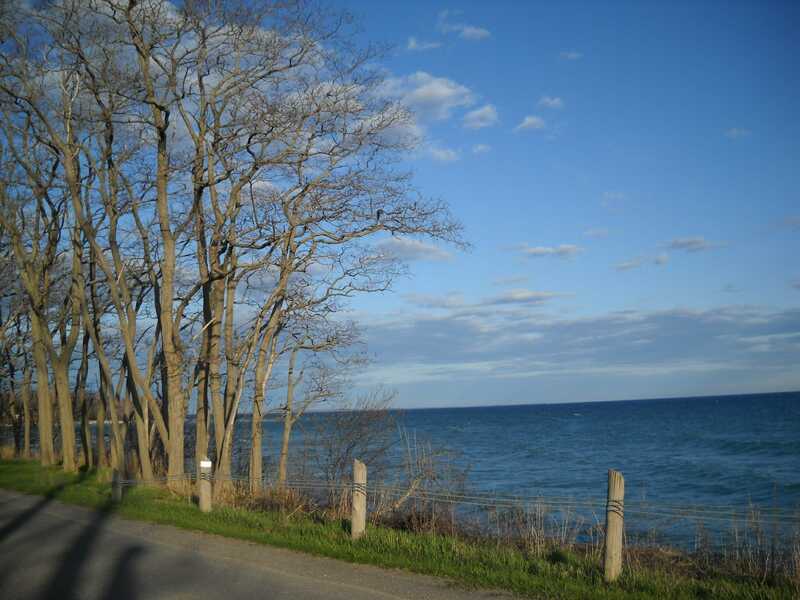 Driving along the shorline of Lake Ontario. Prince Edward County – In Prince Edward County you’ll be entering wine country. In fact, this is the first of three wine regions you’ll enjoy on this mostly Ontario road trip. 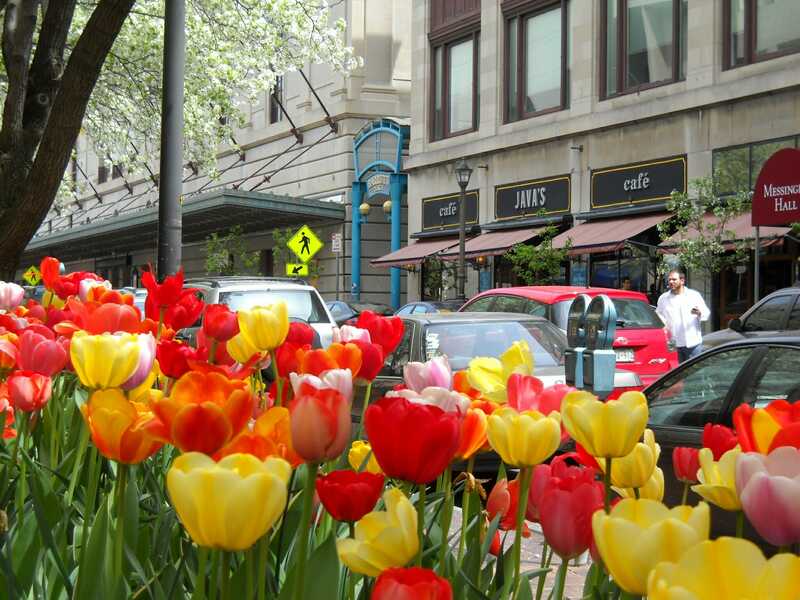 In addition to the wineries, there is an Arts Trail, a Taste Trail, hiking, boating, and more. As they like to say in “The County”, there are thousands of places to lose cell reception. 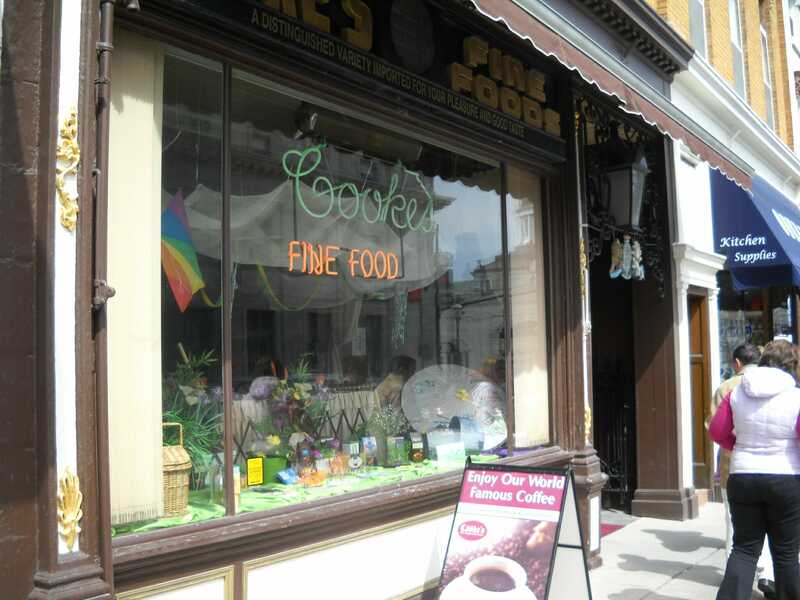 Cookes Fine Food in downtown Kingston has been an institution for over 150 years. Kingston – Kingston, Ontario is a small university city, which means lots of art and culture close at hand. Princess Street is the main drag and where you’ll find Cooke’s Fine Foods, which has been around for over 150 years, and Chez Piggy Restaurant and Bar, another Kingston institution. On your way out of town, stop into Fort Henry. Java’s is the coffee shop hub of Rochester. Rochester – Crossing the border into New York State you’ll head to Rochester, the home of George Eastman (the creator of the Kodak camera), and a fabulous photography museum. It’s also close to the Finger Lakes wine region, which is worth a day trip for the wine and a visit the Corning Glass Museum. In Rochester, stop in for a coffee at Java’s, a local hub. 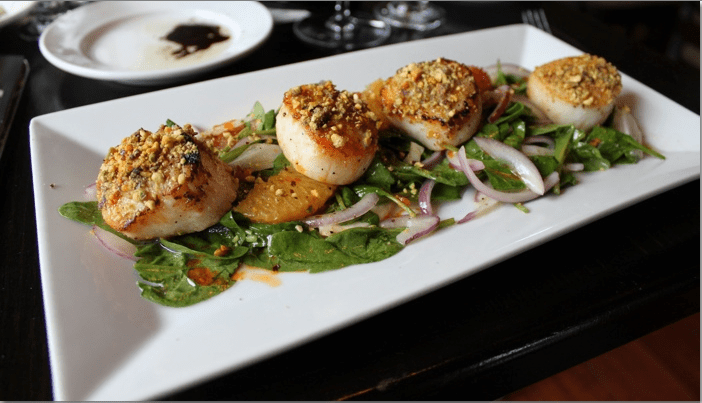 A fine meal of sea scallops at The Old Winery restaurant in Niagara-on-the-Lake after a show at the Shaw Festival. Niagara-on-the-Lake – Travelling back into Canada you’ll come to Niagara-on-the-Lake and your third wine region on the tour. I hope you’ve allowed enough time to enjoy Niagara Falls, spend a day on a wine tour, walk the main street of this quaint town, and take in a play at the Shaw Festival. The pace of a road trip makes the difference between a holiday and a marathon. I find that the ideal number of nights in any destination is three. You have your arrival day (night 1), which includes the drive from your previous destination, and then two days to explore (nights 2 and 3) before moving on to the next destination. So the ideal number of days for a five-stop road trip is 15. Do you have a favourite road trip? Where was it? How do you plan?